Rachel’s Plan Bee. 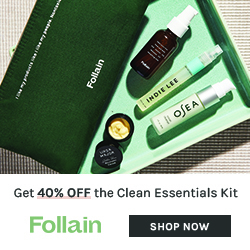 Your Plan A for all natural body care. 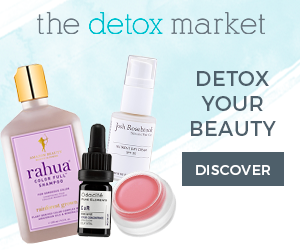 If you frequent green beauty on the internet, you have certainly run across Rachel’s Plan Bee in a blog review or on social media. And for good reason! This small, family owned business makes delicious body care products that envelop your skin in nourishing oils, butters and all natural fragrance. I have spent several months with RPB’s Body Scrub, Bee Cream, Body Butter and Body Oil and am ready to share my thoughts. A great place to start is the Bee Cream, ($12 for 1.5oz) which has to be one of RPB’s best sellers. 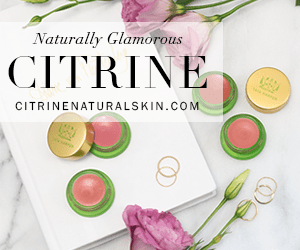 This is a balm that enlists the help of beeswax, organic shea butter, organic coconut oil and organic apricot kernel oil to rescue parched hands, elbows, cuticles, etc. You’ll read on their website that they recommend a pea sized amount of the Bee Cream for both hands, and this is absolutely true. Their Bee Cream is one concentrated balm that soothes instantly. It is fragranced with the RBP signature scent, sweet orange oil and a vanilla that is reminiscent of figs and cinnamon. 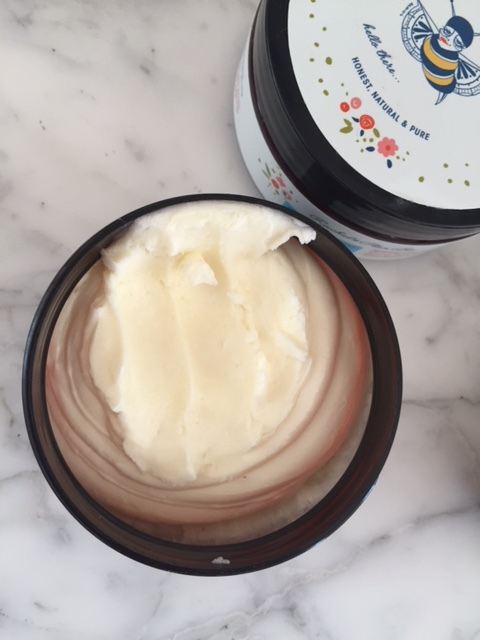 The Body Butter (above, $22 for 5oz) has almost identical ingredients as the Bee Cream, but the texture is creamier and smoothes over the skin like a dream. If you use it sparingly, less than a tablespoon is enough to moisturize your entire body. If you apply it liberally, it makes a fabulous massage lotion. I received the Lavender Spirit scent, but the lavender is not pronounced. It definitely smells a lot like the signature scent of vanilla and orange, which is lovely, but I would have liked more lavender and less vanilla (maybe no vanilla?). Other than that minor quibble, this is the perfect body butter and if you are interested in it, order fast because it only ships November-March. I have two Body Polishes ($20 for 7oz), the Original scent and Mint Julep. As you might have guessed, the Original is the RPB signature scent and the Mint Julep has loads of spearmint and peppermint (and a touch of eucalyptus). I absolutely love this product, and Mint Julep is my favorite of this whole bunch. The scrubbing action comes from sugar, Moroccan lava clay and white kaolin, which provide some grit for exfoliation but with a gentle touch. I prefer Mint Julep because it is so refreshing and I really love mint in my body products. Be sure to apply the scrub at the end of your shower, as you want the organic apricot oil and organic shea butter to hydrate the skin once you rinse off the sugar. Gently pat your skin dry, and you’ll find no further moisturizing is necessary. 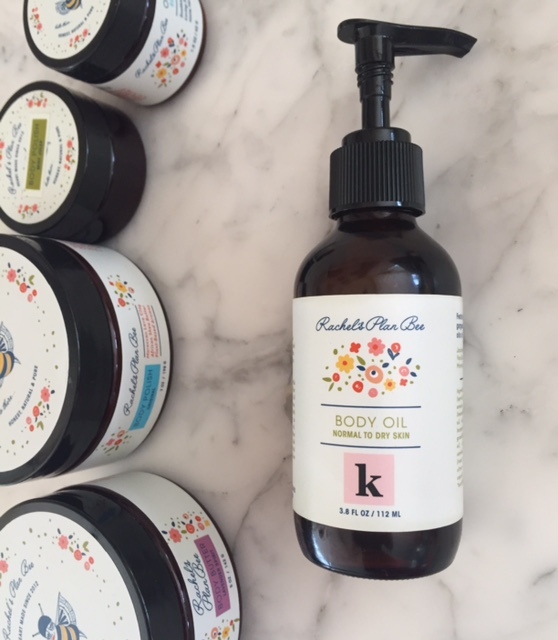 I’m a little reluctant to show you the above Body Oil ($29 for 3.8oz) which was a RPB collaboration with green beauty blogger Kimberly Loc. Sadly it is sold out, but the Body Oil scented with the RBP signature scent is available and has the same moisturizing base of organic apricot kernel oil, sunflower seed oil, meadowfoam seed oil, grape seed oil, tocopherol and cranberry seed oil. 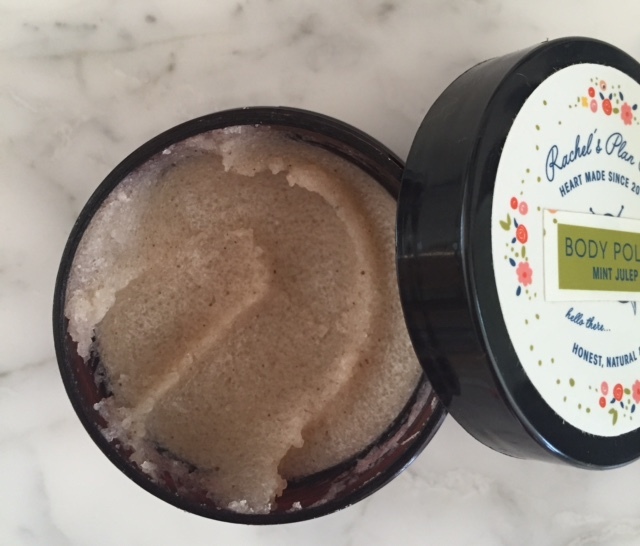 It’s a lovely oil that soaks in quickly and gives amazing hydration, especially if you pair it with the Body Polish. So even if you missed out on the limited edition Body Oil, give the original a shot, especially if the vanilla/orange scent has kindled your interest. Overall, I am very impressed with this 100% natural line of body care and highly recommend any of these products. The only thing lacking for me are scents made without their signature vanilla scent. It’s lovely, but I like some variety. I would love to see more offerings along the lines of Mint Julep. I’m sure it’s challenging for a small company to branch out into too many scent directions, but possibly something scented with just the sweet orange, or just the lavender they already have in their supply might be doable. Nevertheless, their products are of such high quality and their customer service is above and beyond, so I definitely will repurchase Rachel’s Plan Bee over and over! Disclosure: RPB sent me the Mint Julep Body Polish and Lavender Body Butter for review consideration. All of the other products were purchased by me. As usual, all opinions are my own. Next Post Acorelle Perfumes. Organic and French, mais oui!